The only thing that I would change about our trip to Japan is my choice of footwear during our tour of the Tsukiji Fish Market. I needed big, tall, rubber wellies to protect my feet from the splashes and sprays of bloody water and fish guts! Since I didn't have any wellies, I cautiously tip-toed down each aisle. Tsukiji fish market is the biggest wholesale fish and seafood market in the world. 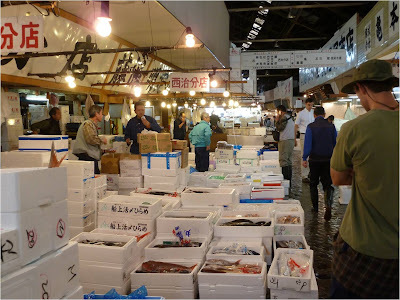 It is located in central Tokyo and there are 400 different types of seafood, with over 700,000 tons handled every year, totaling $5.5 billion U.S. dollars.There are 65,000 employees from auctioneers, accountants, distributors, and more. This place is GIGANTIC. We sort of got lost on the way to the fish market and found ourselves in a somewhat empty warehouse full of fruit, veggies, and men on forklifts. We scampered through the warehouse not knowing where to go and felt COMPLETELY out of place. This was supposed to be the most popular place for tourists, but we were the ONLY tourists around. 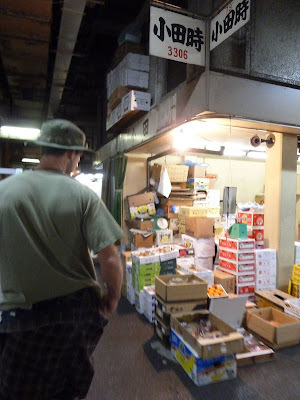 Plus, it was called the FISH market, and we didn't see any fish! We MUST be lost. No one said anything to us or told us to get out of there, so we just kept walking through trying not to get in the way of the workers. Alright! We officially found the fish market!! The market was layed out like a grid with rows and rows and rows and rooooows of narrow aisles with tiny "shops" selling various fish. The vendors were mostly done selling when we arrived because it was about 9:30am, and the busiest selling time is between 5:30 and 8:00am. 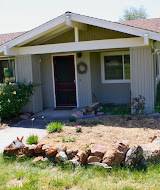 Wholesalers and restaurant agents are the most common types of buyers, but it is also a major attraction for tourists. However, I didn't see more than a few other tourists when we were there. There were so many different varieties of fish and seafood. Lots of squid, octopus, giant tuna, crab, shrimp, eel, lots of sea creatures I've never even seen before! I think the most impressive thing about the market was the scale!! The fish were HUGE, the warehouse was HUGE, and the cutlery was GIANT! 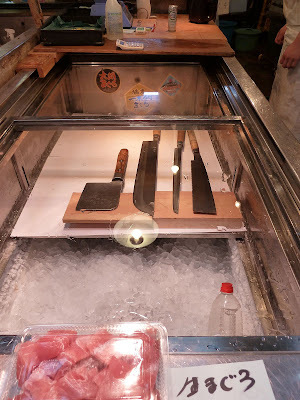 After my last Japan post, I will post a video compilation I made of all of my Japan clips including some from the Tsukiji fish market with live table-saw action! Stay tuned!